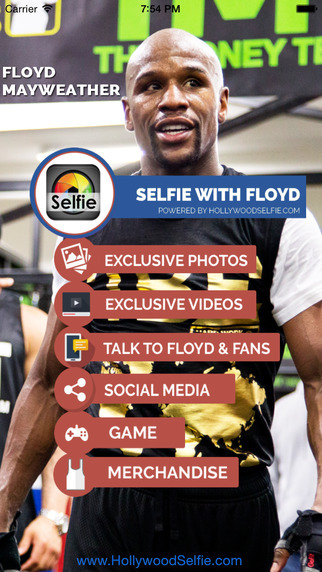 FLOYD MAYWEATHER's Official App allows his fans to take a SELFIE with the Champ! Floyd Mayweather fans can finally have that million dollar picture standing right next to the champ. HollywoodSelfie is the hottest new app with exclusive pictures and videos of Floyd Mayweather and the ability to talk live with the Champ, the Money Team and other fans. Simply choose a picture of Floyd Mayweather from our library of photos. Take a selfie standing next to Floyd and HollywoodSelfie works its magic and merges the two pictures. Easily share this picture with your friends via all major social networks. In addition, you can go one step further and have your Selfie professionally photoshopped by our staff via the app. Exclusive behind the scenes pictures and videos are also available ahead of the Champ's historic September 12th fight. HollywoodSelfie is the first and only official celebrity-based app that allows you to have that Selfie with your favorite celebrity (AKON & Mohombi coming soon), so enjoy your picture with the Champ today! 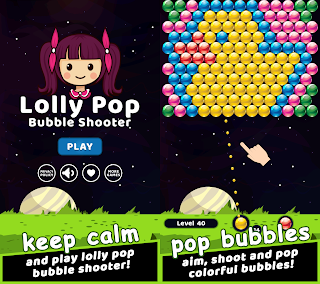 You can download the app via iTunes. For more information, visit www.HollywoodSelfie.com. 0 comments on "HollywoodSelfie is the first and only official celebrity-based app that allows you to have that Selfie with your favorite celebrity"